Pennsylvania Gov. 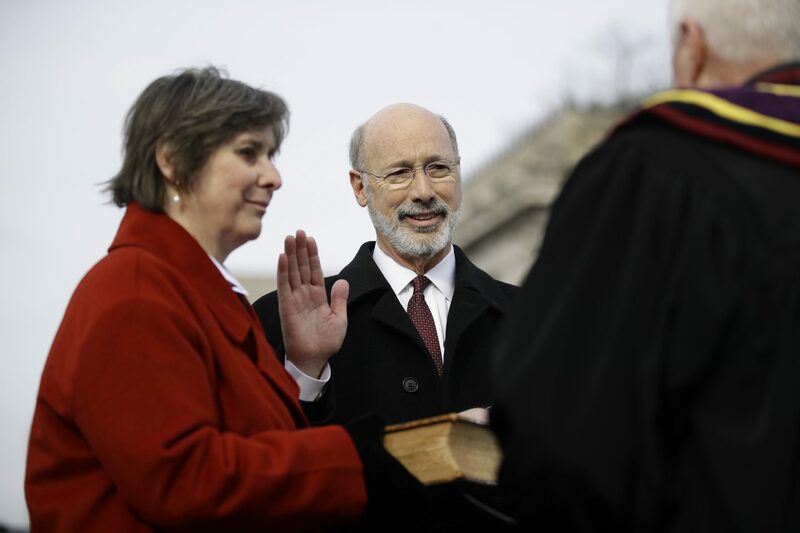 Tom Wolf, accompanied by his wife Frances, takes the Oath of Office as he is sworn in for his second term, Tuesday, Jan. 15, 2019, at the state Capitol in Harrisburg, Pa.
PA Post reporters provide context and analysis. PA Post reporters Ed Mahon and Katie Meyer will be providing analysis of Gov. Tom Wolf’s second inaugural address. To see the notes, click on the yellow areas. To make your own annotation or to comment on one, sign up for a Genius account. And history is still being written right here in Pennsylvania. You see it when you visit the worldclass universities and teaching hospitals where innovation is happening every day. You see on the farms and in the steel plants where our great work ethic is on display. You see it when you trace our evolution from dirt tracks to canals to rivers to railroads to highways.